Remove the hard matter in the form of grease before moving on to any chemical treatment. Garage door repair Bolingbrook recommends regular work as opposed to spring cleaning. This is because the buildup of dirt tends to accelerate wear and tear. Use a damp cloth for stubborn stains and a quality grease cutter if possible. Start by pushing the sensors into a position where they are actually facing one another. This will give you a prime opportunity to assess the strength of the signal. If the lights blink then they are not correctly aligned. Gently reposition them until the lights are solid. Be sure to re-check other parts for proper assembly. 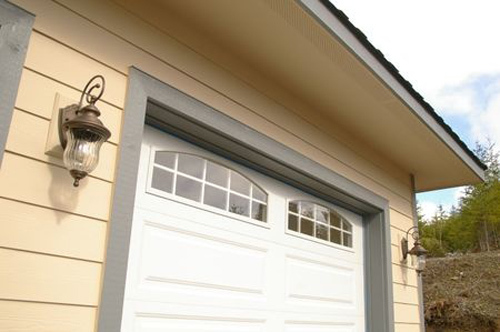 When garage door parts are lubricated on time, they perform better and last much longer. That's the general rule, but you must not overdo it to avoid the opposite results. A few drops of lubricants every six months will suffice for the protection of the material and the smooth movement of the parts. This is crucial since the role of the cables is to prevent the spring from shooting out in case it breaks. If the pieces of the broken component are not contained, they may cause serious injury or property damage. Cables which are greatly frayed or cut should be replaced timely as well.